Comment: Existing gutters on Raised Ranch are leaking at the seams in the front and back of the house. They are also overcome by debris. I am interested in pricing for replacing the existing gutters with new seamless gutters. I am also interested in pricing for having gutter covers installed to prevent debris buildup. Comment: The gutter that is in place now has to be replaced. It is approximately 60 feet long. The present gutter is wood, we would prefer a change from wood. Comment: Need gutters on a barn in our yard. 2 sides - around 25' long each side. Gloucester Gutter Cleaning & Repair Services are rated 4.59 out of 5 based on 1,359 reviews of 14 pros. 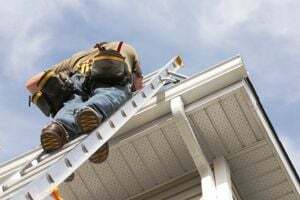 Not Looking for Gutters Contractors in Gloucester, MA?